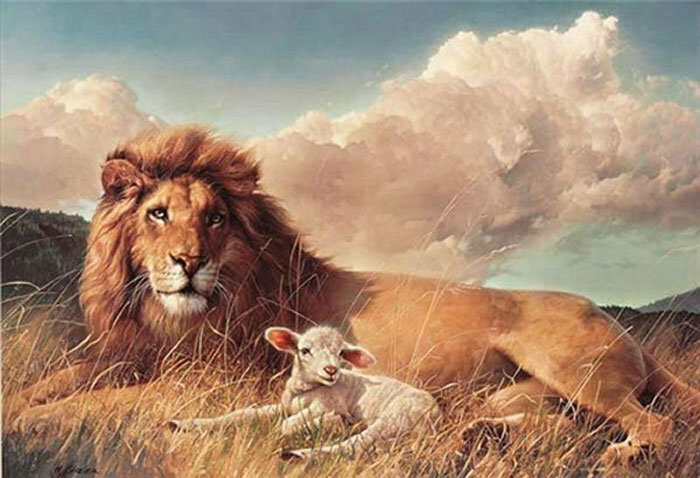 JESUS CHRIST is the Lion and the Lamb, LAMB to all who BELIEVE IN HIM and LION to all who OPPOSE HIM. In His FIRST COMING he came as a LAMB, but in His SECOND COMING He is coming as a LION that devours all who opposes it. "... The Lion of the tribe of Judah" (Rev 5:5), will prevail. Praise the Lord!! May you be empowered to live like as the RIGHTEOUS LION OF GOD of the LINE OF JUDAH and also live like as the meek LAMB OF GOD to display the meekness of our JESUS THE LAMB WHO WAS SLAIN FOR US (Prov 28:1; John 1:36; Matt 11:29-30; Isa 53:7; Luke 10:3). !~! Much Love and Blessings of the †..... !~!